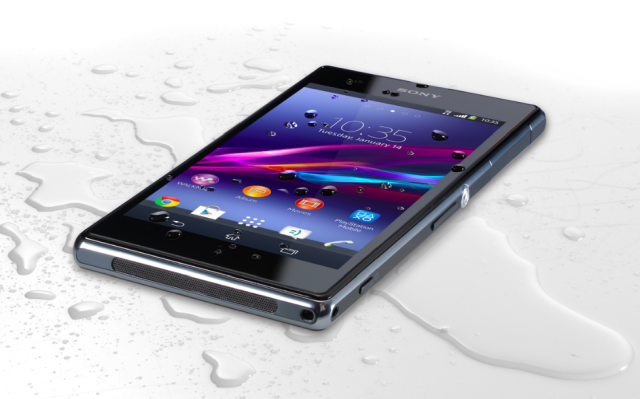 We’ve been abuzz with speculation as to when we’ll finally see Sony finally reveal the much rumoured Xperia Z1s. Well, Sony finally did just that but what we got is pretty much not what we expected of the device with such a name. The Z1s had been tipped to be a mini version of the 2013 flagship Xperia Z1 but it is actually not, it is just another variant of the Z1 made for American carrier T-Mobile. The honour of a super mini version of a flagship goes to the Xperia Z1 Compact. There are just a few things that differentiate it from the Z1 but as far as everything else major goes, it is all we have known. The Xperia Z1s is slightly taller than the Z1, lacks an IPS display and though having the X-Reality Engine like the Z1, that comes turned off by default so as to enable better contrast in stills and video. The device retains the “omnibalance” design build of the Z1 while at the same time packing what Sony came to be known so much for: IP55 and IP58 certification (dust/waterproof). Apart from that the Z1s is the first device in the Xperia lineup to come with the Playstation app out of the box. Whether that is a silent show of the direction Sony wants to take in 2014 is something we’ll have to wait and see in subsequent flagship devices announced this year. The Xperia Z1s will be available in stores Stateside from January 22nd through T-Mobile and can be bought online from next week (13th January). It is priced at $528 off-contract. The device is available in black only.